as much as I do. Though he’s only 6, I have a feeling this kid is going to quickly surpass my gaming abilities. Which is cool, because then he can help me through the hard parts. 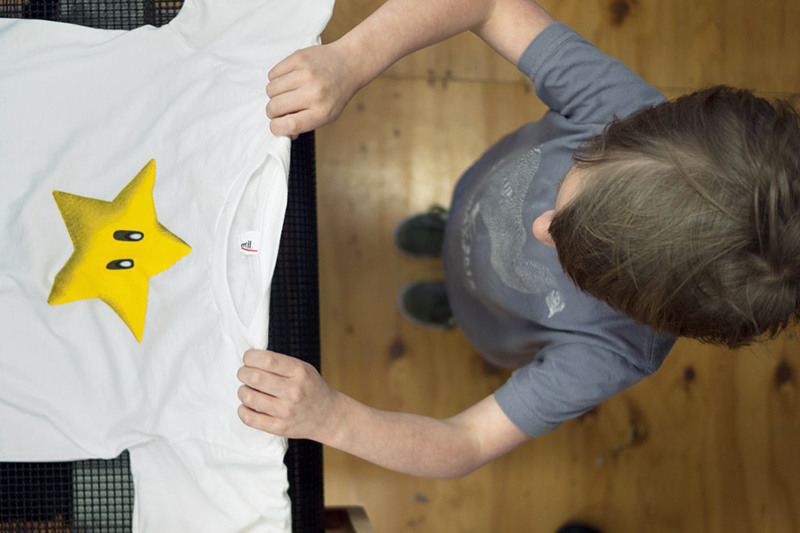 transfer for a t-shirt of the Invincibility Star and Tom recommended doing it up a little more permanently with ink.